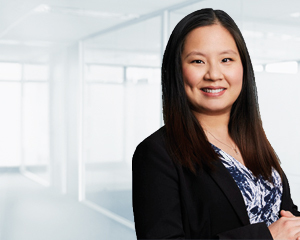 As a member of the accounting team in Canberra, Jenessa Cheah specialises in self managed super fund accounting, administration and taxation and assisting clients with the establishment, administration and compliance of their SMSF. On a day-to-day basis, Jenessa is responsible for managing a team that proactively and efficiently handles the ongoing accounting and administration requirements of her clients’ SMSFs throughout the year. Jenessa is a direct point of contact for all her clients. She completes clients’ financial statements and tax returns and organises the independent audit at the end of every financial year. Jenessa places high importance on accuracy and works to ensure all work is of the highest standard. Jenessa has recently completed a specialisation course with the University of NSW and is in the process of being admitted as a SMSF specialist. “Managing a self managed superannuation fund can be complex so our expert service is of enormous value in ensuring all compliance requirements have been met. I find assisting clients to understand more while helping them manage their retirement benefits helps clients focus on enjoying their retirement life.” She says. Jenessa has a Commerce degree from Australian National University majoring in Accounting and Finance and is a member of the Institute of Chartered Accountant Australia (ICCA) since 2010. Jenessa is also a recognised CA Self Managed Superannuation Fund Specialist.